Vision: Amnesty International’s vision is for every person to enjoy all the rights enshrined in the Universal Declaration of Human Rights and other international human rights standards. Mission: Amnesty International’s mission is to conduct research and generate action to prevent and end grave abuses of human rights and to demand justice for those whose rights have been violated. Amnesty International is a worldwide movement of people who campaign for internationally recognized human rights to be respected and protected for everyone. They believe human rights abuses anywhere are the concern of people everywhere. So, outraged by human rights abuses but inspired by hope for a better world, they work to improve people’s lives through campaigning and international solidarity. Their members and supporters exert influence on governments, political bodies, companies and intergovernmental groups. Activists take up human rights issues by mobilizing public pressure through mass demonstrations, vigils and direct lobbying as well as online and offline campaigning. 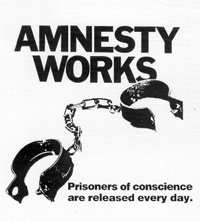 In 1961 a British lawyer, Peter Benenson, launched a worldwide campaign, ‘Appeal for Amnesty 1961’ with the publication of a prominent article, ‘The Forgotten Prisoners’, in The Observer newspaper. The imprisonment of two Portuguese students, who had raised their wine glasses in a toast to freedom, moved Benenson to write this article. His appeal was reprinted in other papers across the world and turned out to be the genesis of Amnesty International. The first international meeting was held in July, with delegates from Belgium, the UK, France, Germany, Ireland, Switzerland and the US. They decided to establish “a permanent international movement in defense of freedom of opinion and religion”. A small office and library, staffed by volunteers, opened in Peter Benenson’s chambers, in Mitre Court, London. The ’Threes Network‘ was established through which each Amnesty International group adopted three prisoners from contrasting geographical and political areas, emphasizing the impartiality of the group’s work. On Human Rights Day, 10 December 1961, the first Amnesty candle was lit in the church of St-Martin-in-the-Fields, London. In January 1962 the first research trip was undertaken. This trip to Ghana, was followed by Czechoslovakia in February (on behalf of a prisoner of conscience, Archbishop Josef Beran), and then to Portugal and East Germany. The Prisoner of Conscience Fund was established to provide relief to prisoners and their families. AI’s first annual report was published; it contained details of 210 prisoners who had been adopted by 70 groups in seven countries; in addition, 1,200 cases were documented in the Prisoners of Conscience Library. At a conference in Belgium, a decision was made to set up a permanent organization that will be known as Amnesty International. In 1963, Amnesty International now comprised 350 groups – there was a two-year total of 770 prisoners adopted and 140 released. 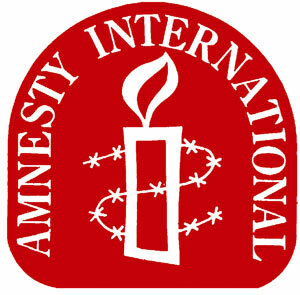 The International Secretariat (Amnesty International’s headquarters) was established in London.